These days it is only those who works within the realms of Fantasy who wholly and truly appreciate the power and potency of riddles, a far cry from when Kings and Heroes placed great weight upon them. Then again, why not? 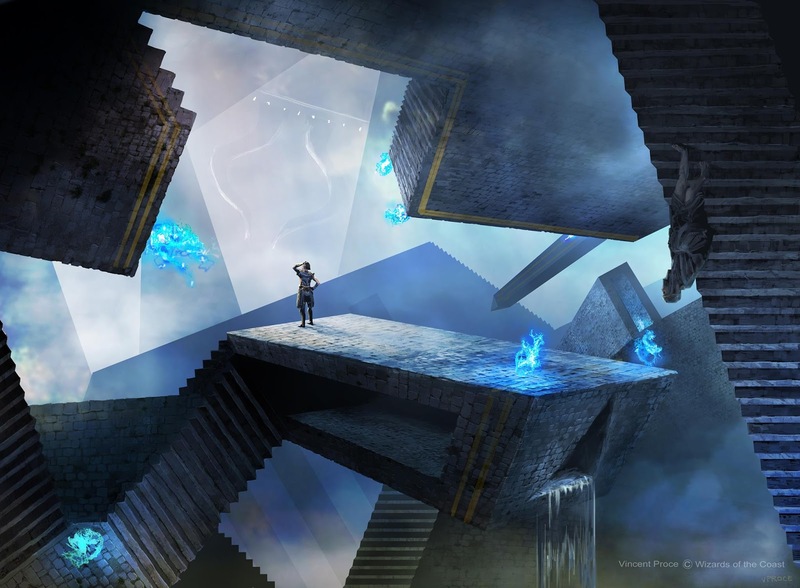 For in the Fantasy genre lives the misty mystery of the ancient past, and so we glory in the enigmatic and such puzzles as twists minds into first comprehending and then solving Gordian Knots. However, true and masterful usage of riddles is rare even within Fantasy literature. 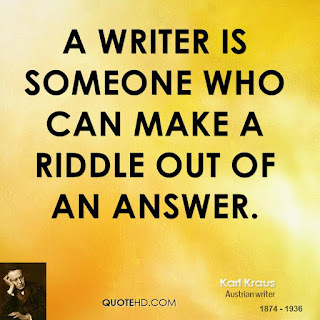 On that note, those Fantasy authors who do employ concept of riddles will 99% employ Riddle Games as its main element. J.R.R. Tolkien hosts a famous one between Bilbo and Gollum in The Hobbit, the stake being Bilbo's life and freedom. In The Grey King, the third book of Susan Cooper's fantasy sequence The Dark is Rising, Will and Bran must win a riddle game to gain a...special power necessary for the Light in their war against the Dark. A sphinx appeared in the third task in Harry Potter and the Goblet of Fire, guarding the final trophy. To get past, one must answer a riddle about a spider. In Stephen King's The Dark Tower III: The Waste Lands and The Dark Tower IV: Wizard and Glass, the ka-tet must riddle against Blaine the Mono in order to save their lives. (Of course, seeing as I have read neither of these books, this is only a secondhand account). But, in my not entirely humble opinion, no Fantasy author makes better use of riddles than Patricia A. McKillip in her books The Forgotten Beasts of Eld and The Riddle-Master trilogy. What plays with words and logic, yet never tells a lie = ? As aforesaid, once upon a time the art of Riddle Mastery was taken quite seriously, as evidenced by a certain Greek philosopher – whose tomb was just (at the time of writing) uncovered – speaking so fondly of a passion of mine. Indeed, riddles and Riddle Games are not mere tools, mere elements, of mythology and Fantasy literature alone. Professor Archer Taylor of Pennsylvania, a seminal proverb and riddle scholar and folklorist, says that "we can probably say that riddling is a universal art" and cites riddles from hundreds of different cultures including Finnish, Hungarian, Native American, Chinese, Russian, Dutch and Filipino sources amongst many others. Riddles have been characterized as one of the most important forms of oral art in Africa. In the assessment of Elli Köngas Maranda (originally writing about Malaitian riddles, but with an insight that has been taken up more widely), whereas myths serve to encode and establish social norms, "riddles make a point of playing with conceptual boundaries and crossing them for the intellectual pleasure of showing that things are not quite as stable as they seem" – though the point of doing so may still ultimately be to "play with boundaries, but ultimately to affirm them." A perfect example of this is the Riddle of the Sphinx, arguably the world's most famous riddle (indeed, I cannot begin to tell you how many times children have given it in an attempt to stump me). The Riddle of the Sphinx is: What is the creature that walks on four legs in the morning, two legs at noon and three in the evening? The answer is a human, because a human being walks on all fours in early life, on two legs as an adult and with a walking stick in old age. Of course, arms and canes are hardly legs, but they functionally act like them, thus proving Elli Köngas Maranda's point. 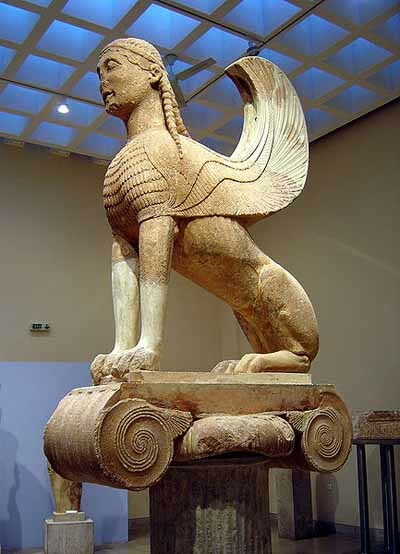 Also and on a side note, Sphinxes are famous in world mythology for their riddles – as well as their annoying habit of killing those who fail to answer – making them a sort of mascot for the art of riddlery. My knees hasten, my feet do not rest, a shepherd without pity drives me to pasture = ? I, personally, disagree with him as, per my own Riddle Maker mind, I judge the above riddle as perfectly respectable. My only grievance is that the answer was not preserved! AUGH!! Experience has led me to the conclusion that there are four basic types of riddles: Logic, Wordplay, Scenario, and Combination. Logic – The most common form of riddle; generally describes something in a new way that, while telling the truth, makes it difficult to guess what the thing is. Wordplay – Less common but still widely used (and very hard to make), wordplay riddles are generally words puzzles that often have the answer somehow concealed within the riddle. Scenario – Still common, at least among kids, but of a very different makeup. Typically they are a description of a puzzling situation and the person trying to solve it must figure out how and why it occurred. (This is the one type of riddle I do not deal in; too cumbersome to make and solve, in my opinion). Combination – A riddle that combines the principles of any of the aforementioned types.
? – There is, actually, a fifth (and not so basic) kind of riddle; but you will need to visit the College of Caithnard if you want to learn it. Easy – Simple riddles that have a token of complexity but can be solved fairly quickly by 1st graders. These are always (at least for me) Logic riddles. Middle-ranking – The most common level of riddle and, for me, the easiest to make. Sophisticated enough in wording, playing with words and logic, to pose a challenge to most for several hours. I typically use these to judge a person's (3rd grade to adult) skill in riddle-solving. Most tend to be Logic riddles. Hard – Difficult to describe this level as these are typically just short step above Middle-ranking, being of more complex wording and often having slightly less obvious answers. Indeed, I call them Upper Middle-ranking at times. Both Logic and Wordplay riddles are common. Master – Few and far between are these riddles, both in terms of people able to make as well as solve them; even I have very few. As the name implies, only true master riddle-solvers can answer these, often only after hours of thought, for they require one to truly think outside of the box. Grandmaster – Answering one of these puts you in the riddle-solver hall of fame. Always Combination riddles (at least all of mine are), these can be counted on the finger of one hand and are hardly ever solved even by those who can answer Master-ranked ones. I have one myself and, though I have given it to hundreds of people over the years, only fifteen have ever solve it (and most of these took a few days to do so). 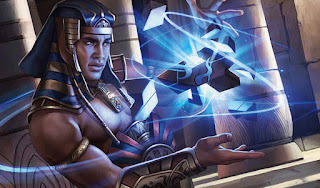 Championmaster – Those insane riddles a hair's breath away from being unsolvable. I honestly do not know why I even bother listing this as a rank as, to date, my single riddle of this kind has only been solved once: by siblings Chloe and Heather, each of whom individually was a master riddle-solver, though it took them, working together, a full week to solve it. Frankly I only created the Championmaster riddle because my friend Devin, who had solved the Grandmaster, challenged me to craft a harder one. Now, one often hears the term riddle master used to describe those who excel in the art of Riddle Games. But I judge the title differently because, while I have often been called a riddle master, I, paradoxically, am atrocious at solving riddles myself. Hence I say that there are two kinds of riddle masters: the riddle-solver and the riddle-maker, the latter of whom creates riddles. One can be both, of course, but if not, then it is the riddle-makers' task to train the riddle-solvers' in answering, and the riddle-solvers' task to challenge the riddle-makers' in creating. I, of course, am a riddle-maker, and have trained all those interested in both the skills of answering and creating – for to be one allows a unique perspective as to the other and, in my experience, riddle-makers are the rarer of the two kinds of Masters. How might a ferryman leave his boat, yet leave the ferry operating = ? 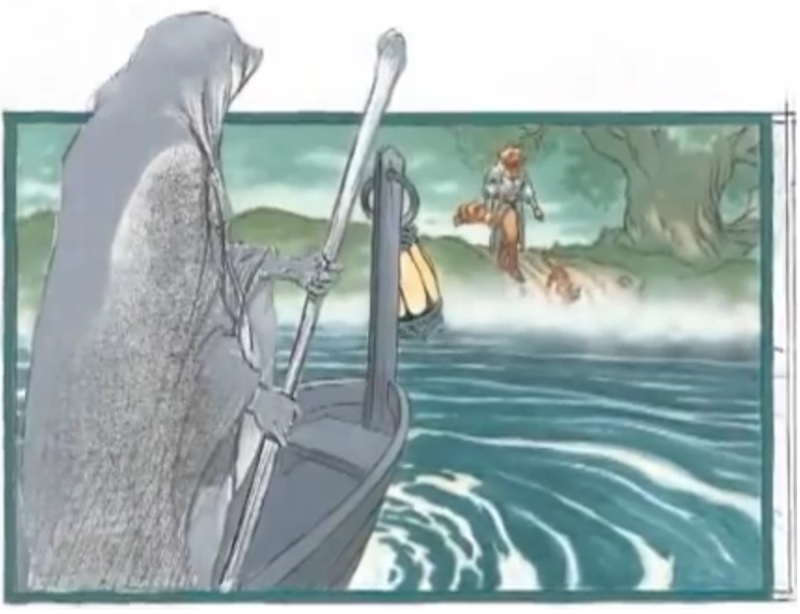 Here is a hint, provided by Neil Gaiman: only tell the ferryman the answer from a safe distance. It occurs to me that Inquiry Teaching is synonymous with my Riddle-Maker Philosophy. To expand young minds, those minds must find the answer themselves and with limited hints. It can either be found by, or given to you, when found you understand it, when given you might not = ? Designing a curriculum is also akin to making a Riddle; working backwards, first you think of what you want to teach and then how to teach it. 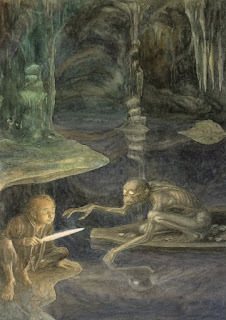 As Patricia A. McKillip, author of The Forgotten Beasts of Eld and The Riddle-Master trilogy says, "When caught between the riddle and its answer there is no freedom," which is exactly why Inquiry Teaching has proven to be such an effective method of teaching children (who, in my experience, are the best riddle-solvers). Furthermore, not only are children typically the best riddle-solvers, they, at least in my experience, more often than not become addicted to them and subsequently develop great respect for the riddle-maker. 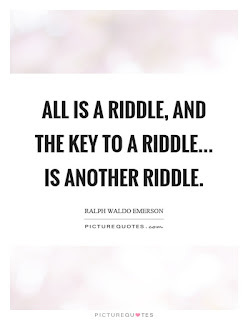 OK, so maybe this is not all I have to say on the ancient art of Riddle Mastery...but hey, any true Riddle-Maker worth their salt always keeps an ace or two up her/his sleeve (or, in my case, in a hidden pocket). P.S. The reason why I do not post the riddles I make is because the whole reason I create them in the first place is so riddle-solvers cannot look up the answers on the internet. As such, to post them on Stars Uncounted would be counterintuitive.